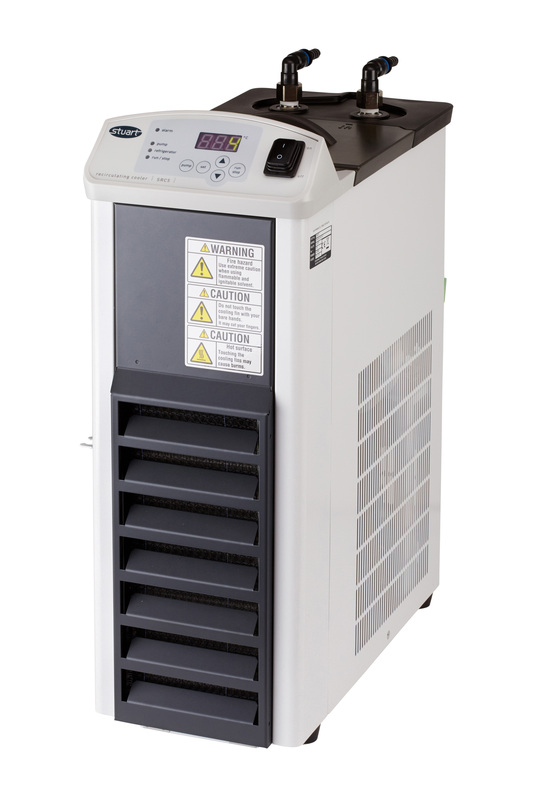 The SRC5 provides a powerful cooler with a compact footprint suitable for mounting on or under a bench. The LED digital display clearly shows the current temperature of the cooling medium to ±2°C, while the set temperature is revealed by a one button press. With all the features of the SRC5 the SRC14 is ideal where larger volumes are required, or when extra cooling capacity is needed, electron microscopes for example. The unit is floor standing with lockable easy roll castors to ensure excellent mobility.